The ecp.newegg.com website only supports Microsoft Internet Explorer 10 or later versions. If you are unable to use IE 10, please contact us. 1. Create a Newegg.com account if you do not have one. ***Please note: If you are not signed into your Newegg account before clicking on the above link you will be directed to sign in. 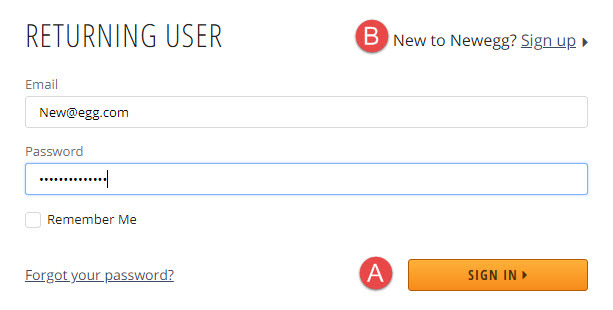 A) Returning user: Once you fill out your information click SIGN IN. B) New customer to Newegg: Create a Newegg account if you do not have one. 3. Click on the Create New User link. 4. 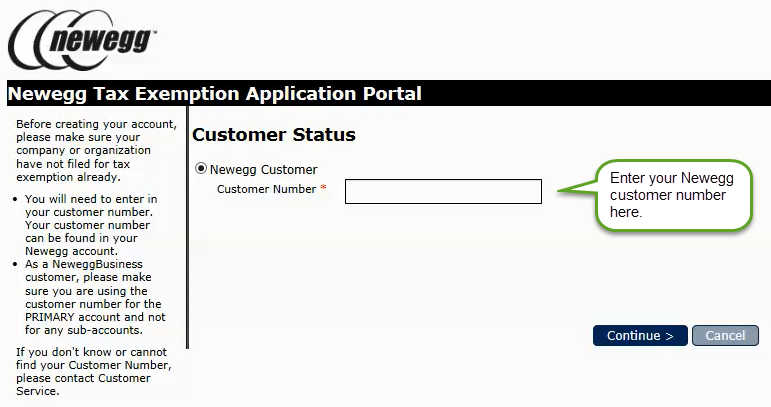 Input your Newegg Customer number in the section shown below. 5. 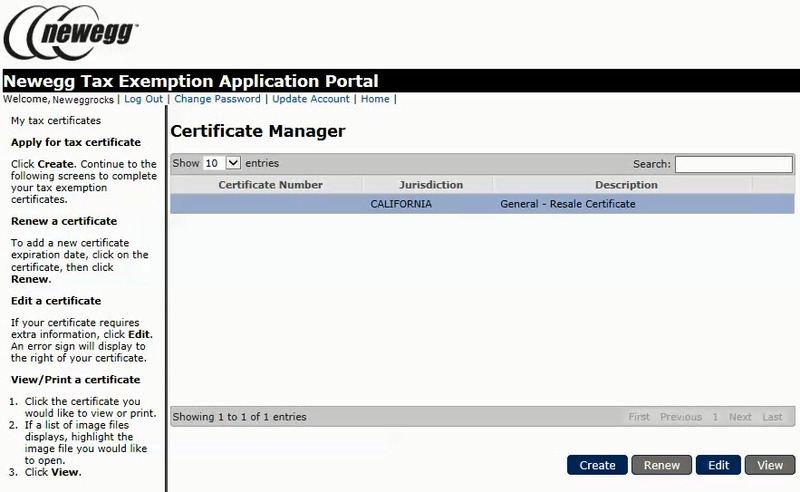 Follow the on-screen directions to create a new certificate. Once this process has been completed and a certificate account record has been created, you will be able to access this information to renew existing certificates and add additional certificates if needed. PLEASE CREATE ONLY ONE ACCOUNT. Duplicate account records may delay the tax exemption process and may cause your application to be rejected. 1. After you register, you will be directed to Login using the following link here: Newegg tax exemption portal (Returning user link) 2. 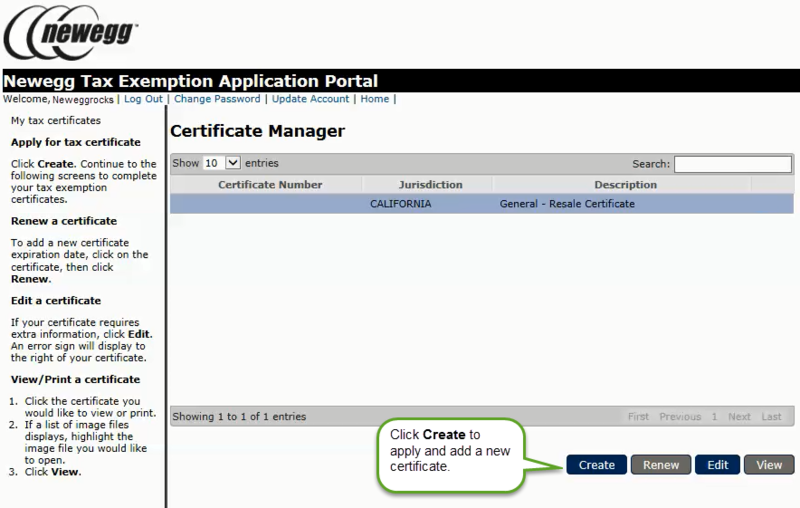 On the Certificate Manager Page click Create to add a new certificate. 3. Based on what you select you will be prompted to select a form to fill out. 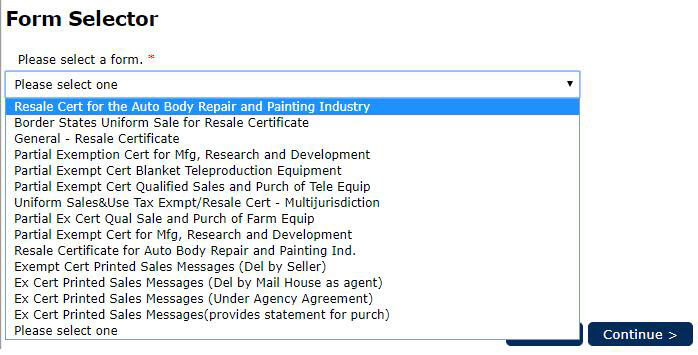 For example: if choose the state of “California”, it will list out all of the possible forms to fill in. When selecting a state, please only choose one jurisdiction at a time. 4. Input a valid date then click continue. Please note that dates are validated. Using the wrong date will cause your application to be rejected. 5. 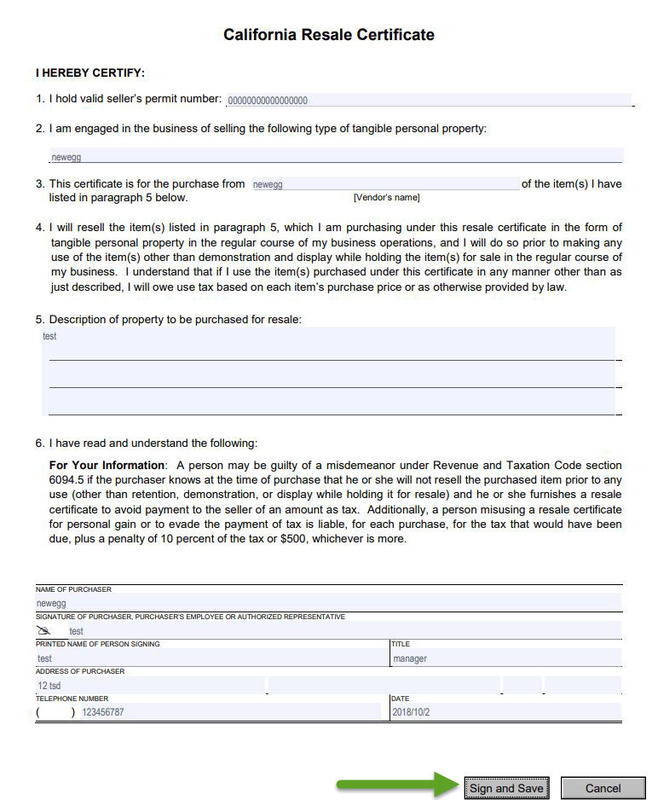 A form will now be available to fill out. Once done click Sign and Save. 2. As a returning user please use the following steps to Log In to your account. Tax exemption applications take 3-5 business days to process. 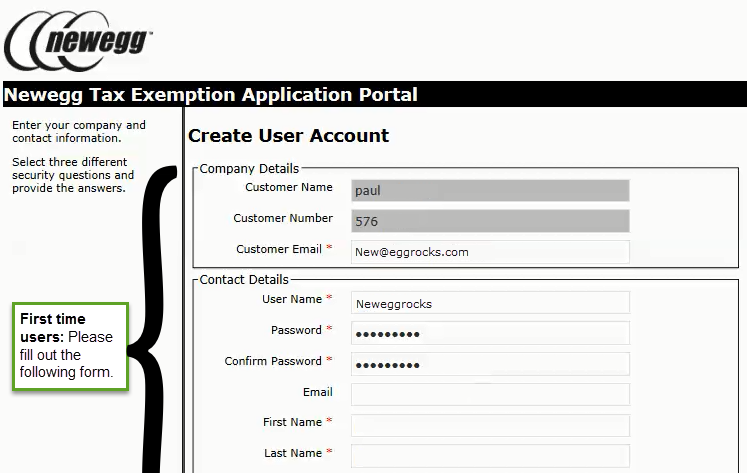 Once your application is processed, future orders will no longer be taxed by Newegg.com. If your application lists a previous order that should have been tax exempt, any tax that we collected on that order will be refunded to the original payment method. If any of your submitted information has changed, please log in to your existing exemption certificate account to make updates, renew existing certificates, or add new certificates if needed. Orders shipping outside the United States (with the exception of APO/FPO/DPO and Puerto Rico) will always be charged the requisite tax and duty and cannot be exempt.